@TaroJ: #scriptchat the first pro feedback I got was nerve wracking. A rejection but really happy with the feedback, very constructive. @chriskbernard: #scriptchat what's the biggest challenge for a consultant? @TaroJ: #scriptchat hi @blerime , what would you say is the most common feedback you give to writers? @barelysarcasm: Include a part for Rob Schneider. RT @TaroJ #scriptchat hi @blerime , what would you say is the most common feedback you give to writers? @chriskbernard: @sweettweenie #scriptchat I've had 2. Both had exceedingly long turnaround times, and charged way too much for what I got in return. @chriskbernard: @scriptguyphil #scriptchat what do you find the most challenge part of consulting? @RolandMooreTV: @TaroJ #scriptchat "what about earlier feedback before a script has been sold?" > Yes, particularly useful in spotting when genre wanders. @chriskbernard: #scriptchat huge advocate of script consultants. Keep in mind they're human with likes, dislikes & opinions looking for a good story! @sweettweenie: RT @chriskbernard: #scriptchat huge advocate of script consultants. Keep in mind they're human with likes, dislikes & opinions looking for a good story! @chriskbernard: #scriptchat Regrettably I must go, but it's been great! Looking forward to the next one. #scriptchat rocks! @HateTheHate: #scriptchat if your peers don't "get" it then it probably needs work! @RolandMooreTV: I love reading scripts - as I'm sure most people on #scriptchat do. So pro readers can be supplemented with the community here. Use both. 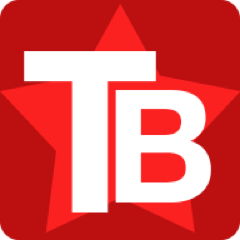 @Bang2write: #scriptchat that's why I set up The Feedback Exchange for peer review http://www.tinyurl.com/fdbkxchng Don't pay a reader if u don't have to! @TaroJ: RT @Bang2write: #scriptchat that's why I set up The Feedback Exchange for peer review http://www.tinyurl.com/fdbkxchng Don't pay a reader if u don't have to! @Bang2write: @sterussell @Sofluid #scriptchat yep - and some writers ADDICTED to notes, they don't know when the draft is finished! @sweettweenie: RT @RolandMooreTV: I love reading scripts - as I'm sure most people on #scriptchat do. So pro readers can be supplemented with the community here. Use both. @sweettweenie: RT @Bang2write: #scriptchat that's why I set up The Feedback Exchange for peer review http://www.tinyurl.com/fdbkxchng Don't pay a reader if u don't have to! @RolandMooreTV: @alli_and_that "I adore reading scripts and am always happy to give feedback" #scriptchat > Exactly. It's entertaining and we learn too. 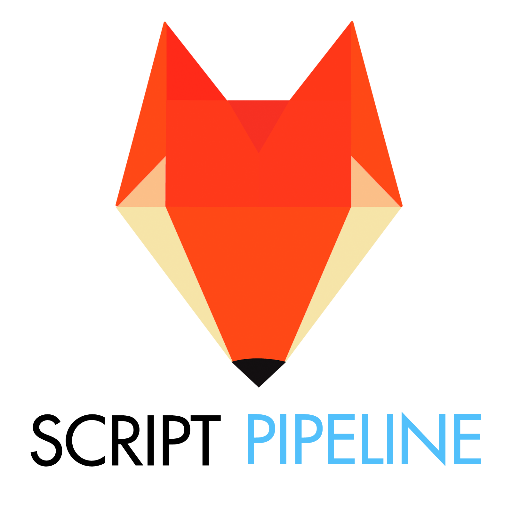 @TaroJ: #scriptchat great to have so many people with first hand experience from both sides of script consulting. 5 mins left any burning points? @antonsays: #scriptchat hello. Am I late? @Bang2write: @alli_and_that @HateTheHate @scriptguyphil #scriptchat as I've said multiple times on the blog, no one can copyright any idea. @antonsays: Did someone mention #Scriptchat drinks next week? @art1032: RT @Jamie_LD: Before we start tonight's #scriptchat I want to say, please keep @JMidnight in your thoughts and prayers, RIP @MarkWorthen We adored you. @caramumfordfilm: Heads up to my non-scriptchat tweeps... you might want to ignore me for the next hour or so. It's #scriptchat o'clock! @LifesizeLD: RT @caramumfordfilm: Heads up to my non-scriptchat tweeps... you might want to ignore me for the next hour or so. It's #scriptchat o'clock! @DimitriDavis: It's been way too long. Happy to be back to #scriptchat. @johnarusso: #scriptchat New here. Hi everyone! Looking to learn. @LifesizeLD: I miss @MarkWorthen. RIP Mark. This #Scriptchat 's for you! @RobyMB: @jeannevb #scriptchat I get it the best I can on my own. Three drafts at the earliest. Take notes in stride. @Jamie_LD: Such a great guy. RT @LifesizeLD: I miss @MarkWorthen. RIP Mark. This #Scriptchat 's for you! @kim_garland: Hear, hear. RT @LifesizeLD: I miss @MarkWorthen. RIP Mark. This #Scriptchat 's for you! @VerbaVitae: I'm watching #scriptchat roll. Hi all. 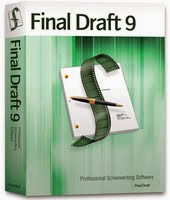 @movielady: Scriptchat what is your favorite software? @making_a_scene: Hello #scriptchat. I'm thinking about sending a script to The Screenplay Mechanic. Here to see if it's worth it. @Jamersmom: @jeannevb I should be back home by the end of #scriptchat. Taxi run. @SidKali: Looking at gold running down Twitter timeline. I have to tune in for #scriptchat next week. Real experience being shared by people rocks. @Whyvoni: Learning SO MUCH. #amexcited Thank you #scriptchat and thank you @jeannevb! @Silverwingscrpt: RT @Whyvoni: Learning SO MUCH. #amexcited Thank you #scriptchat and thank you @jeannevb! @NYCanes: @elizabethkarr what time does #scriptchat start? @NYCanes: what time does #scriptchat start? @NYCanes: @Jamie_LD #scriptchat thank you ! @LifesizeLD: A HUGE #Scriptchat farewell toast to @MarkWorthen! @DimitriDavis: RT @LifesizeLD: A HUGE #Scriptchat farewell toast to @MarkWorthen! @Jamie_LD: A toast *raises glass* RT @LifesizeLD: A HUGE #Scriptchat farewell toast to @MarkWorthen! @Justin_Pleau: #scriptchat i find using a pen and paper to write easier sometimes than trying to type on laptop, with twitter and facebook right there. @art1032: RT @LifesizeLD: A HUGE #Scriptchat farewell toast to @MarkWorthen! @making_a_scene: Another great episode of #scriptchat. Thanks! @craigary: #scriptchat As someone who's both rec'd script consulting and been one myself, it's useful if scribe's receptive + consultant is good match. @kim_garland: Here's to Mark! *clink* RT @LifesizeLD: A HUGE #Scriptchat farewell toast to @MarkWorthen! @johnarusso: #scriptchat thanks everyone!! I'm looking forward to getting in there next week. Happy writing! @Film_Shark: Thanks to those who advertised #scriptchat. I will listen to what they have to say. These discussions are good but writing is even better. @LordBronco: @jeannevb #scriptchat Thanks all! see you around! @johnarusso: #scriptchat my one comment for today - the best response I've gotten from producers was when I did a reading of my screenplay in NYC. @SidKali: @DimitriDavis @jeannevb @VerbaVitae #scriptchat I got in late, but next Sunday I'll be in early. Cheers. @DimitriDavis: Glad to have popped back in for #scriptchat. Shame I missed so many!